There are lots of reasons not to love smog. It stinks. It makes it hard to breathe. It gives children cancer. And, for certain countries, that decreased visibility makes it really hard to spy on your citizens. We're looking at you, China. Pollution is so bad in China that the massive network of surveillance cameras that the government's installed has been rendered useless, according to a new report in the South China Morning Post. That's a lot of cameras, too—20 million to be precise. In some cities, visibility has dropped to just three meters on bad days, and bad days are happening more and more frequently. The smog is so thick that even infrared cameras aren't working properly. It's so bad that it's become a national security concern. (How are you going to catch the dissidents terrorists if you can't see them?) And so the National Natural Science Foundation funded two separate teams—one civilian, one military—to figure out how to solve this pesky smog problem in the next four years. If you take a step back, it's sort of an absurd situation. 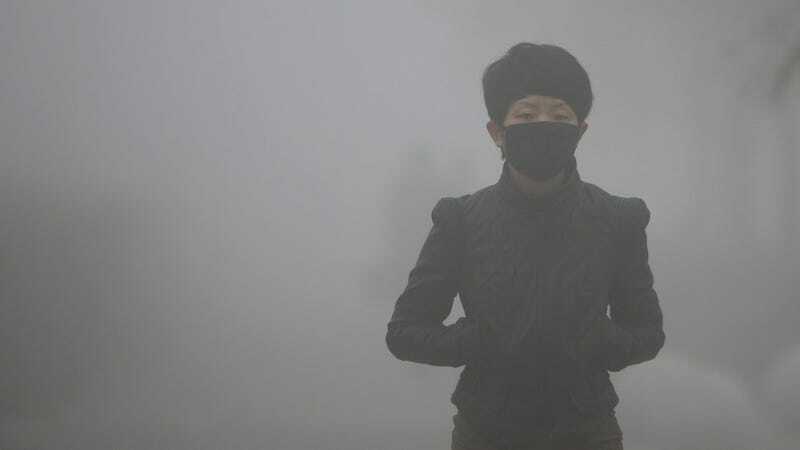 China's smog problem is so bad that they think it's rendering women infertile, but only when the spy cameras fail do they think to do something about it.